Most of the money I got paid to write Super-Cute Felt Animals is earmarked for boring but important stuff like paying bills (the joys of being a grown-up, eh?) but I wanted to buy myself something nice as a little celebration / pat on the back for getting all that work done this time last year. I thought what could be more appropriate than using some of the money I earned writing a book to buy some books? 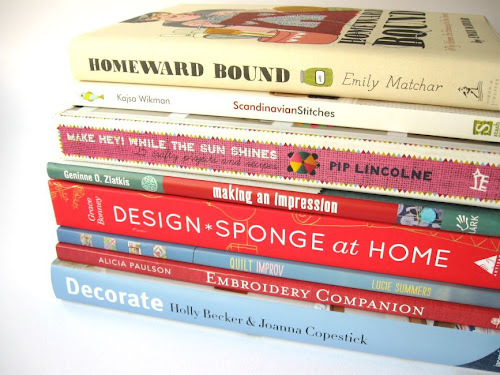 It was tricky deciding what to buy, but in the end I mostly plumped for books by makers, artists and bloggers whose whose work I've been admiring / blogs I've been reading for years and years. and Scandinavian Stitches by Kajsa Wikman. I also bought a copy of Homeward Bound by Emily Matchar. I've read soooo many blog posts and articles discussing this book since it came out in the spring, I thought it was high time I actually read it for myself! This is a wonderful collection of books. Wishing you a very enjoyable time. Ive got my own copy of "Scandinavian Stitches" - I love it - lots of quirky sewing projects. 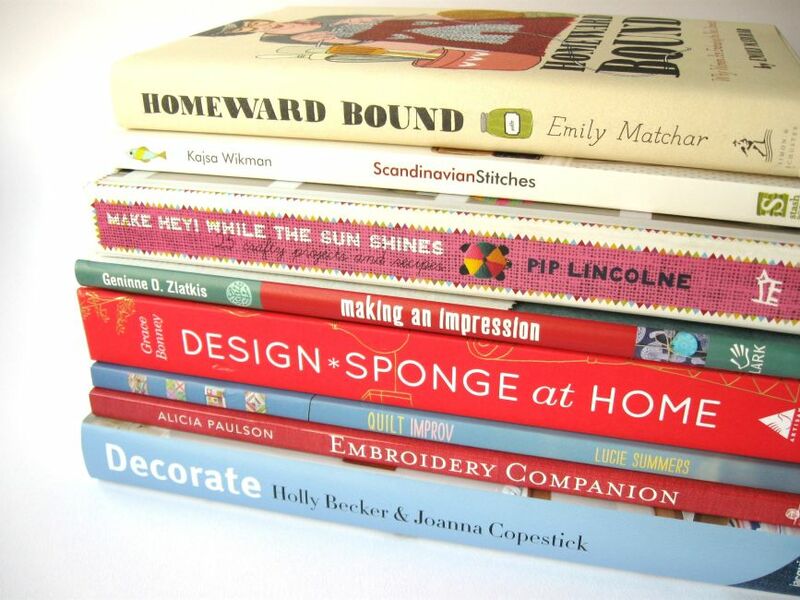 There's nothing better than adding to one's craft book library! I just love to!!!!! Oooo, they all look so interesting! Keep us posted on how you get on with them on; I may have to treat myself to something in the new year!